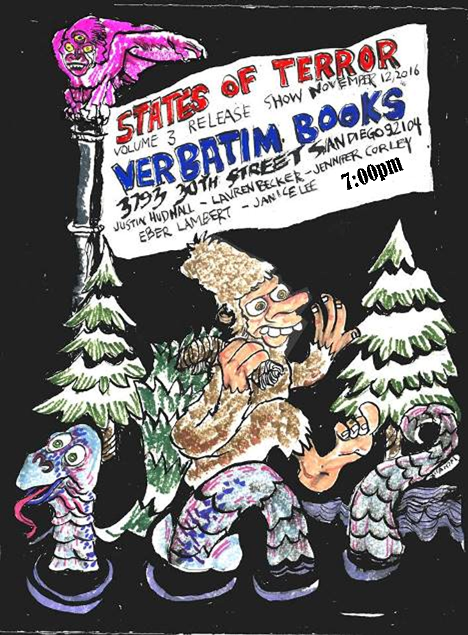 Our local heroes Verbatim Books are giving Volume 3 a time to shine! Come see readings from Justin Hudnall, Jennifer Corley, Lauren Becker, Eber Lambert and Janice Lee and pick up a copy of the book, whydoncha! Poster artwork by the illustrious McHank.